Disclosure: I am participating in an Ambassador program on behalf of Influence Central and hosted by Claritin®. I have received compensation to thank me for my participation. All opinions expressed are my own. Living in sunny Florida has its advantages but allergy relief is not one of them! When I moved to Jacksonville 18 years ago I never had allergy issues and when my daughter was born in 2005 we moved to a new home on a wooded preserve lot and the seasonal allergies came on like gangbusters! That’s why I’m excited to pair with Claritin and bring awareness to their Smart Allergy Mom™ Toolkit by the makers of Children’s Claritin. A helpful resource to educate parents about seasonal symptoms and help kids with allergy relief. My 10-year old daughter Avrielle is constantly playing outside and seasonal allergies are just a way of life, unfortunately. From the green grass and the yellow pollen dusts on our cars, it is easy to see why watery eyes and sneezing is common. Learn tips and information to help you know what seasonal allergies are and how they differ from cold symptoms. When you need to go to a Pediatrician about allergies, the toolkit will help you ask the right questions and prep for a conversation with your child’s doctor about allergy relief. Need tips to manage your child’s allergies? Look to the toolkit to help you identify outdoor and indoor allergens that could be triggers of allergy symptoms. 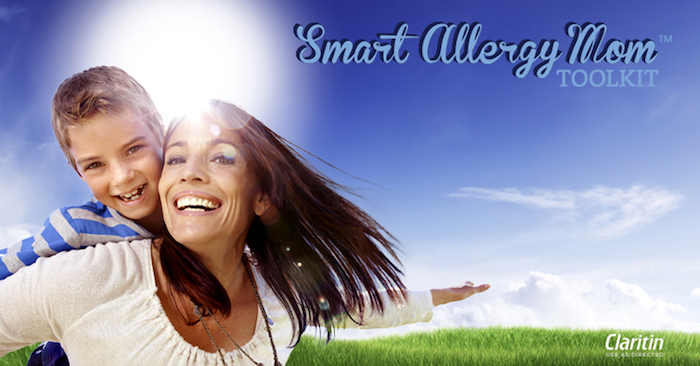 You can learn more about the Smart Allergy Mom™ Toolkit here. You can also get a 3$ off coupon on the website towards your purchase. Claritin is the #1 Pediatrician Recommended Non-Drowsy Oral Allergy Brand for kids ages 2+. It provides non-drowsy relief that lasts all day. That’s 24 hour relief of runny nose, sneezing, itchy, watery eyes, and itchy nose or throat.